Indoor Parking Garage with Valet is right next door! Central Parking entrance located at 925 Walnut Street. $12 Valet Sunday-Thursday after 3pm. Metered Street Parking also available. Septa Bus Stop on the corner of 10th & Walnut for routes 9, 12, 21, and 42. Group Events. Business & Professional Events. Weddings, Rehearsal Dinners, & Family Events. 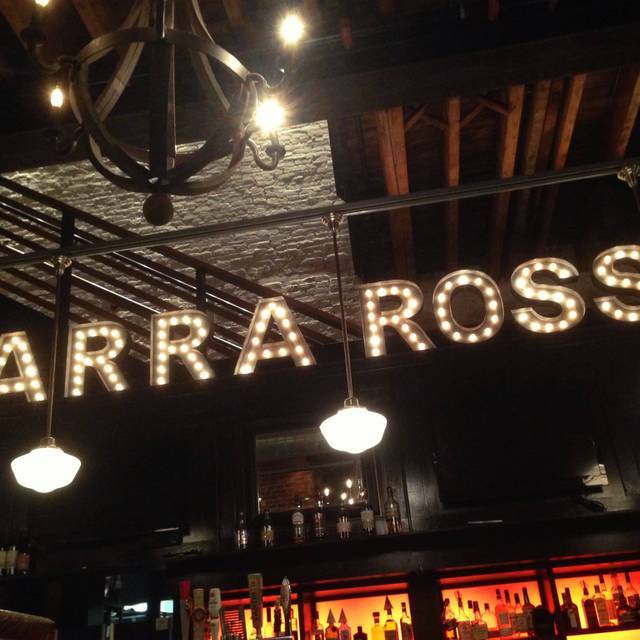 Barra Rossa is a bustling burst of Italian flavor and energy. The lively atmosphere is perfect for sharing a meal with friends or family, or for a late night snack. The dynamic bar provides a vibrant venue for sampling from a selection of 40 Italian wines served by the bottle, glass or half glass. Begin your meal with a sampling of Italian meats, cheeses and olives. Next, try several of our signature hot and cold small plates. Then, choose from a selection of our wood-fired pizzas and pastas, or one of our signature entrees. Happy Hour Monday-Friday 4pm-6pm and Friday/Saturday night 9pm-11pm! Creative and traditional dishes are brought to life with local and fresh ingredients. An extensive wine and specialty cocktail list pairs with each dish to complete the dining experience. A frequent dinner spot before the theatre. Never disappoints! I arrived about 30 minutes late for my reservation due to traffic issues. I requested quick service as dinner was to be followed with a play at the Lantern Theater. Our server, Halley, was great and brought our food quickly which gave my party time to relax with a second glass of wine. I’ve been to Barra Rosa numerous times and have always been pleased with the food and service. Pre show dining.. friendly and professional staff, chef accommodated special requests without hesitation, delicious food, wonderful wine. Overall, a highly recommended restaurant!! The service is outstanding and the food is consistently good. Great location and value for money, a local favorite. Having lived in Italy, my wife and I were hoping to find an authentic Italian dining experience in Philadelphia. I have to say that both of us came away disappointed. Perhaps a high bar to judge against. We ordered the Barra Antipasto. While this presumably included Italian cheeses, meats and olives, most of the items were mild and did not offer up much flavor. Both of our entries also were disappointing. My wife's grilled swordfish mostly just tasted charred. My shrimp in a cream sauce, came in a goopy cheesy sauce that I would expect at a TGIF. 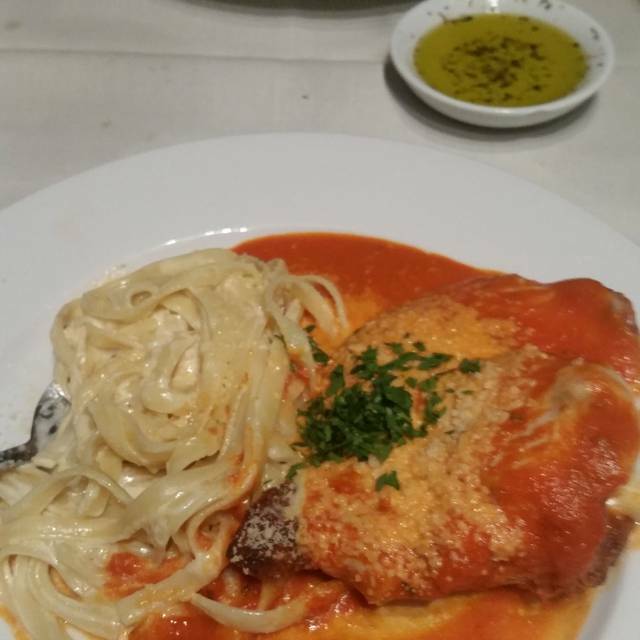 In short the meals lacked the finesse of a real Italian meal. I don't think we'll go back for dinner. It could be a good place for drinks. The wines we ordered with our meals, an Italian Pinot Grigio and a Spanish Albarino, were quite tasty. We ( party of seven) had dinner at Barra Rossa before attending a production at the Walnut Street Theater. Our seats were ready at the time of our reservation. Our waitress asked us if we were going to the theater when we arrived and saw that we were given a courtesy discount on our final bill. Our food was delicious and slightly different from the typical Italian fare. Service was friendly and attentive. Prices were reasonable. We will be returning in the future. I love both the food and the service here. The upstairs is also great for business meetings. The food was great and so was the service. Would visit again. Conveniently located in the theatre area with close by parking. 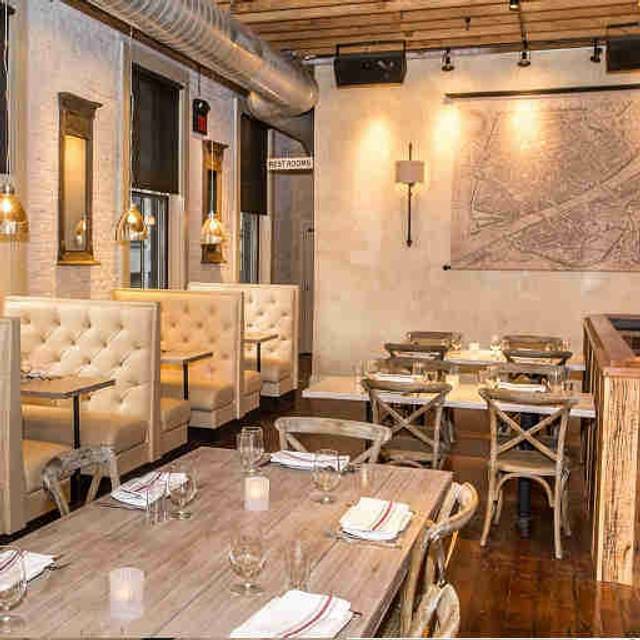 A well run restaurant serving great food and wine. Service was superb and timely, food choices were great and very satisfying. Highly recommended. 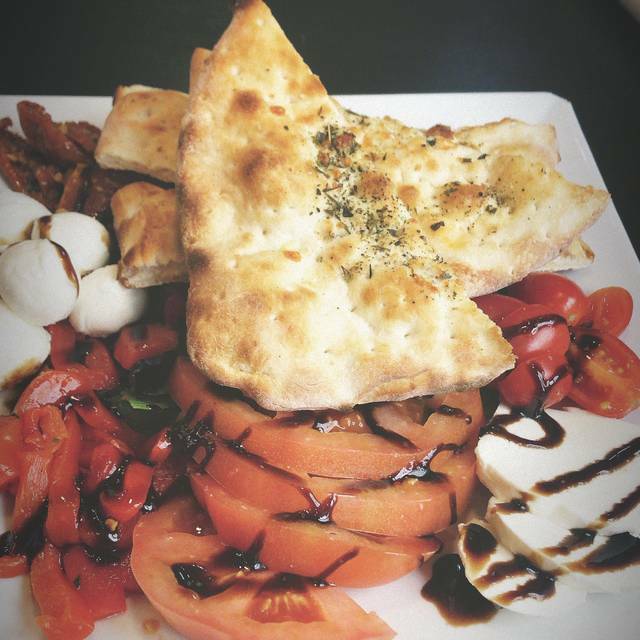 Finding a gluten-free menu is the best thing since sliced gluten-free bread! Barra Rossa accommodates for both pasta and pizza--a rare find! 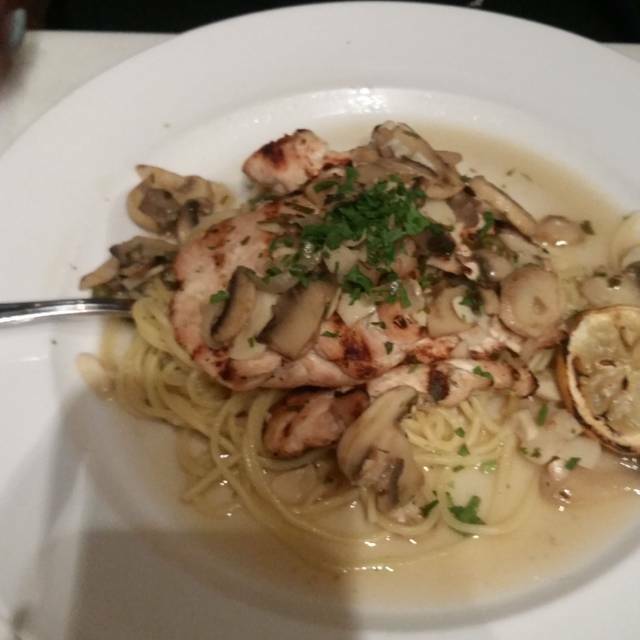 My favorite dish is the Chicken Abruzzi. Absolutely love the place. The food is always delish. Excellent food and exceptional service. Great menu and wine list. Great location, especially for the Walnut Street Theater. 15% discount with tix to the theater. 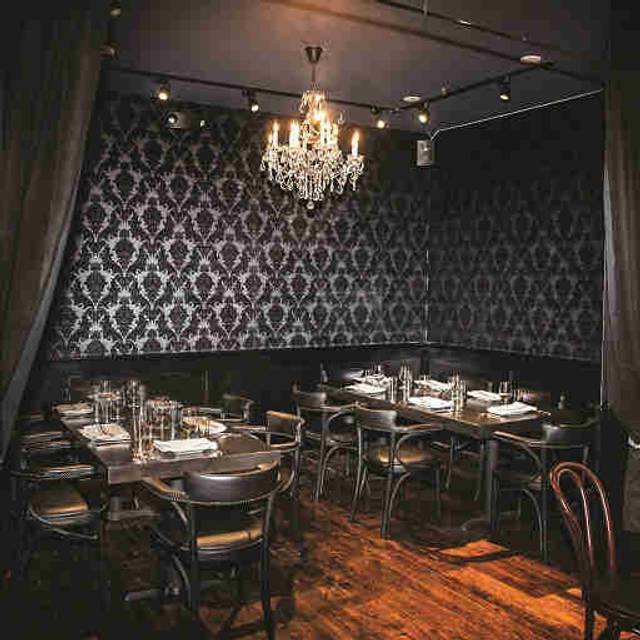 This restaurant is a Walnut Street “jewel”. The food is very good and so is the service. It very close to the Walnut Street Theatre which great for having lunch or dinner before a show. Awesome cheese plate great burger. Very happy. Stopped by after seeing Pinkalicious at the Walnut St theater. Food was tasty, however pizza dough was not as thin and crisp as we prefer. The server was very attentive, the décor nicely done. The staff was amazing from the host to the kitchen staff that I saw in the restaurant. The food was beyond amazing! We sat at the bar and the bartender was amazing. She was friendly, helpful and knew what we wanted before we could ask! It was our second time coming for dinner before a show and we will definitely be back! Food and ambiance excellent. Service a bit slow but not sure if problem in kitchen or servers. Great location for pre-theatre meal! One person in our party never got their food.Appetizers were brought out 10 mins apart from eachother. Server asked if we wanted cheese after we were half done with the food. We saw our drinks on the bar for 20 minutes. I’d give it another chance because the food was good. Service could have been better. Went for a 30th birthday and they did not let us down. It was a great time for us! Thanks! 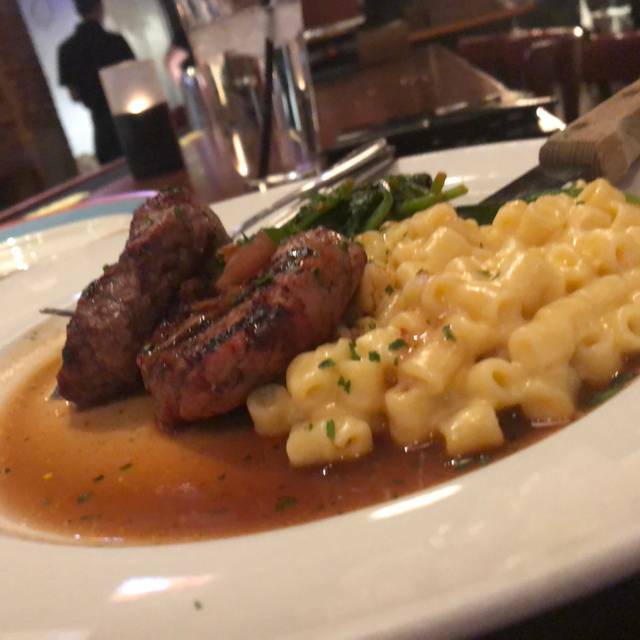 BR is my go-to place when I want to dine in Center City without a hassle. Solidly Italian, but has options for any diet and preference. 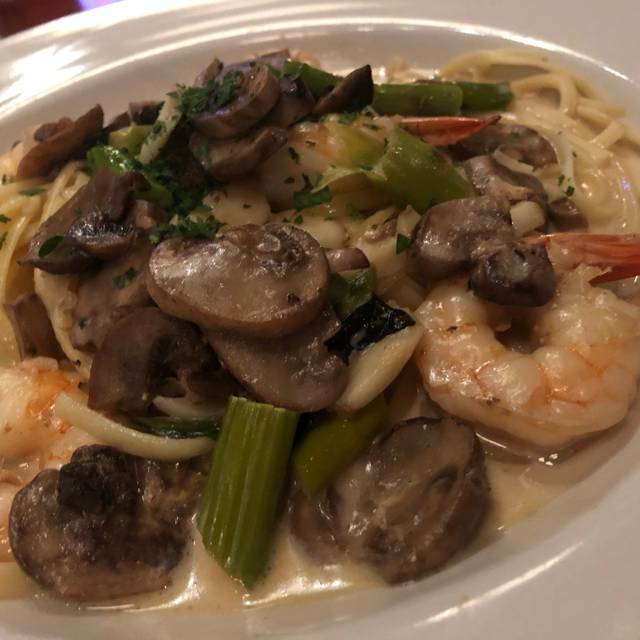 Nice staff and excellent food (handcrafted pizzas are fabulous and the chicken parm with alfredo linguini is to die for). I’ve only lived in Philly for 3 years, but I’ve easily dined here several dozen times. Our waiter needed more training. Drinks came out 20 min after food. Ordered 2 orders musselsone, one came out. Had to wait 10 min for second. Not a pleasant experience before Theatre. Our food was delicious. We both had the portabella painni The fries are exceptional. Our server was very pleasant and efficient. Great lunch. I've walked by Barra Rossa many times and was curious about it. It was fantastic! A great menu and many delicious sounding dishes. The food was great. Our server was really good. We will definitely go back. Food was served beautifully! However, the salad through desert was tasteless! The penne with spinach tasted like pasta had been cooked and served from the pasta pot...with nothing added. Desert was peanut butter chocolate cakes that was served directly from the refrigerator. Cute place! Great food. Very personable server and attentive wait staff. Pleasant experience. I will be back. My friend and I had a delightful pre-theater dinner there Wednesday evening. We sat upstairs at a window (seat was a big hard though). The server (Jen?) was fantastic! I will definitely be back. Based on the rating in Open Table we expected for something else. The food was not high level and was very basic. The menu has something for everyone, at a reasonable price for the quality of food they are preparing. This was my second time at Barra Rosa and I remain impressed with the level of care that goes into eaxh dish. Highly recommended! On Saturday March 16th, I dined in your restaurant for the second time. I returned because the food is fantastic, and the bartender on the second floor provided world class customer service. I sat at the bar because it was the only place available since I did not have a reservation. But on Saturday the 16th I made a 5:30 reservation, and I sat at about the middle booth on the right wall as you enter the restaurant. This time I felt slighted by the young lady that waited on me and my friends. I was the first to arrive with my party of three. I sat for a little while and no one approached the table to at least acknowledge my presence. However, when my Caucasian friends arrived (I am African American), the waitress approached the table and greeted my friends before they were completely settled in their seats. You may label this as an innocent oversight. But from where I was sitting it was an insulting customer experience. I believe that the lack of consideration afforded minorities sometimes happens unconsciously because as a society we are programmed that way. As a paying customer however, I want equal treatment. I am not asking for special treatment, but perhaps those that provide a service to the public need to make the effort to be more cognizant of all customers. It is demeaning to be treated as second class, especially when I am in your establishment to support your operation. Have been to this restaurant several times, not so much for the food, but due to the location to the Walnut theater. The food use to be very good but of late is has lost some of its appeal, since its menu selection is a bit limited with main courses. The service has been hit or miss with staff checking to see if you need anything or how your food is. Staff is polite, but at times a bit forgetful when you ask them for a refill or another item. Seating can be a bit tight and noise level a bit loud. Overall it is an okay place to eat. 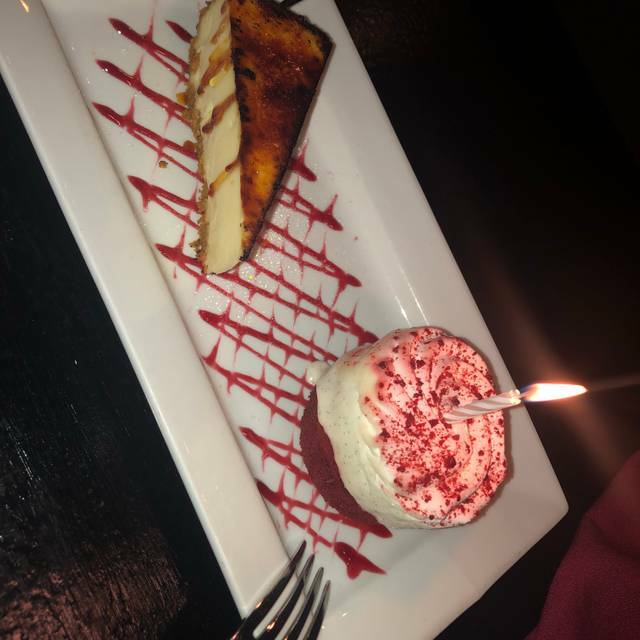 The food was delicious and our service was excellent. The décor and lighting are right on point, rustic and romantic. This was my second visit and I will return soon.